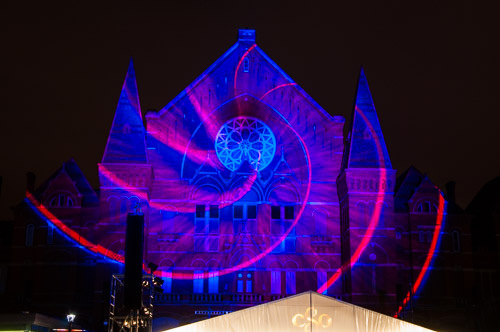 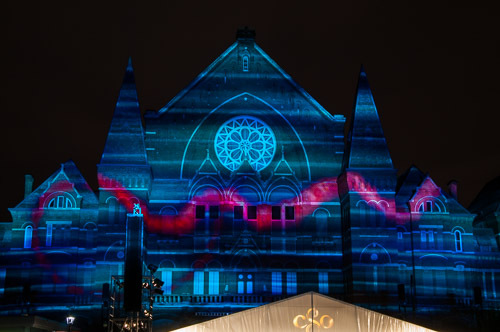 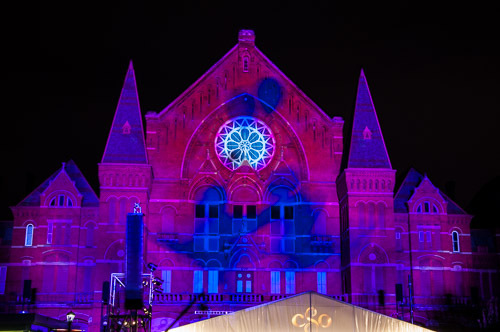 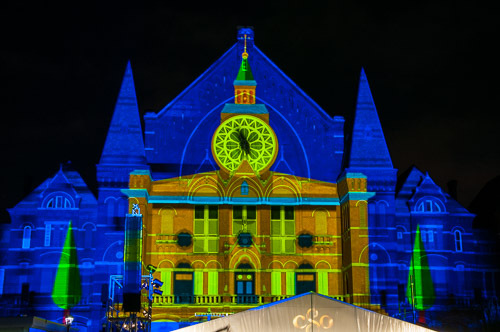 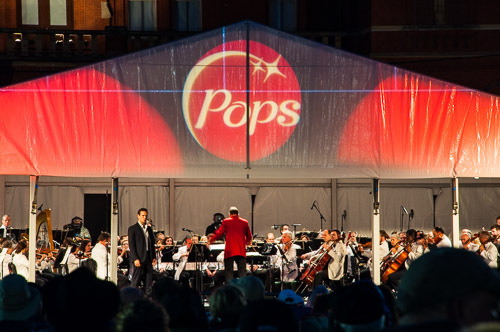 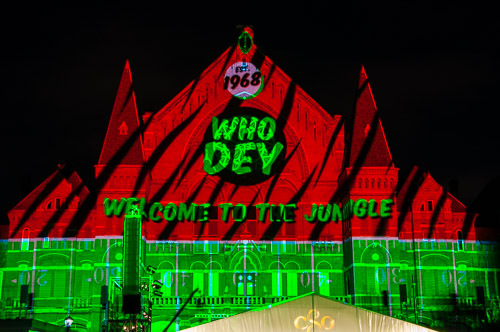 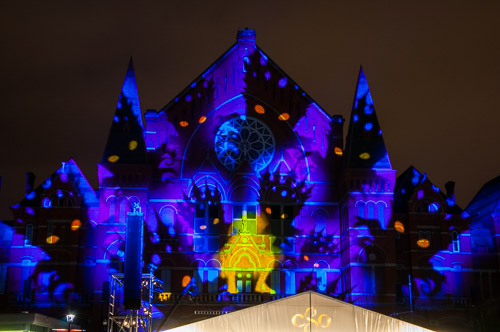 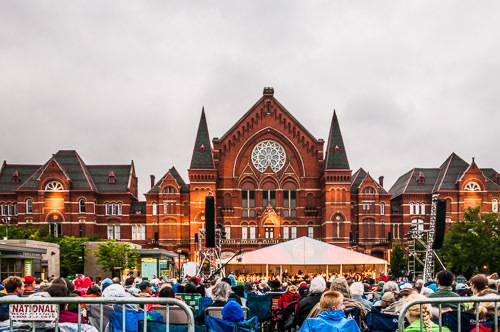 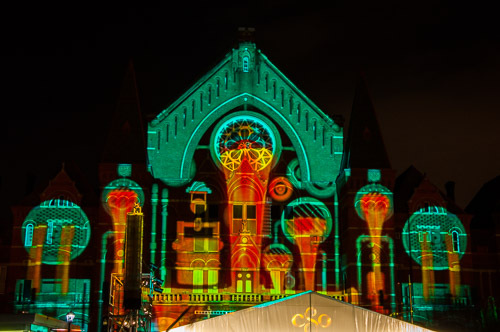 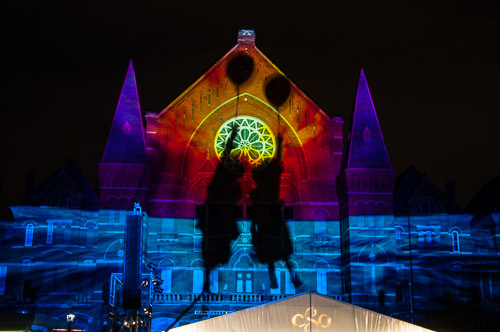 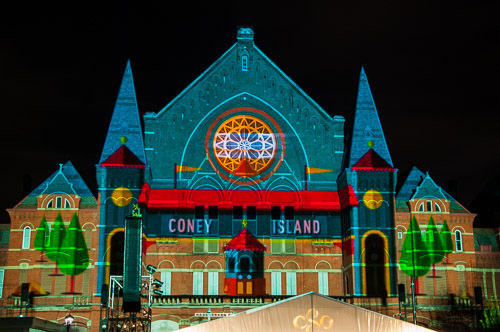 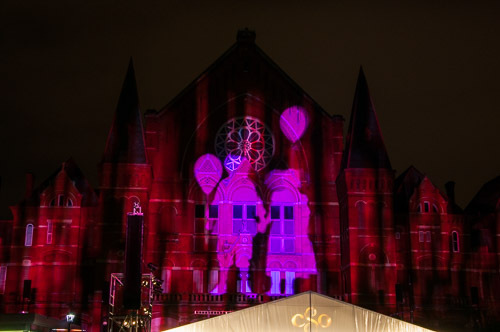 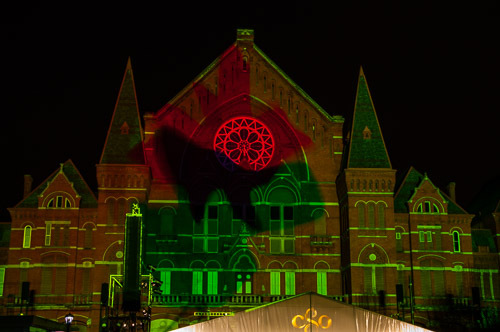 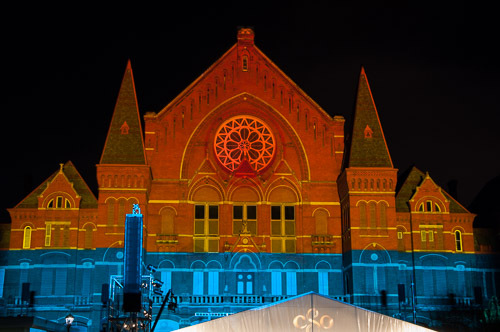 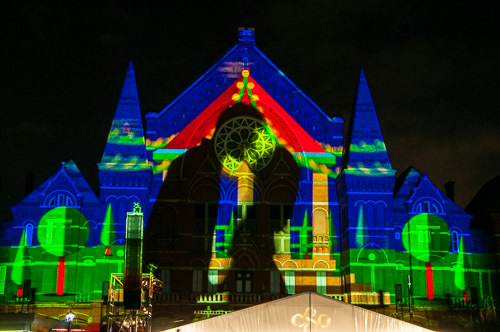 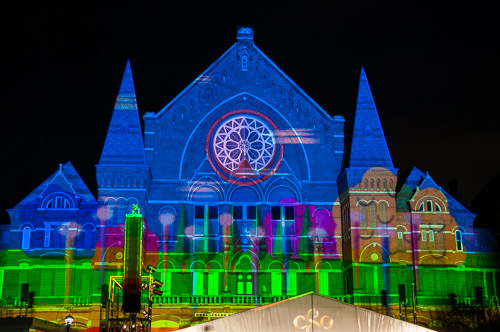 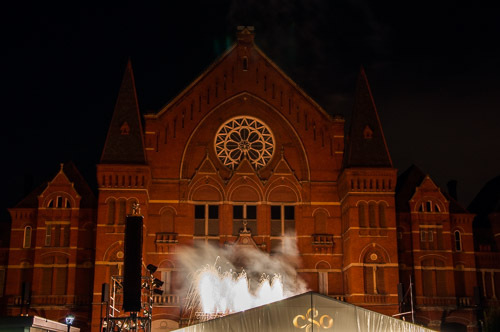 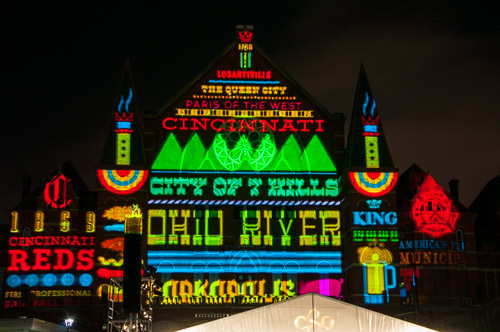 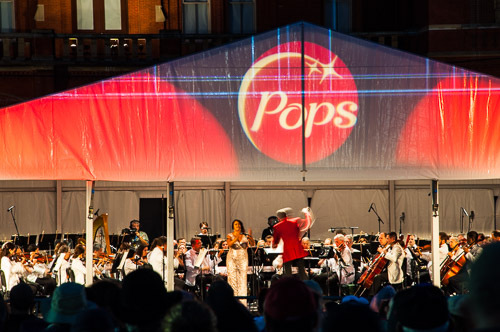 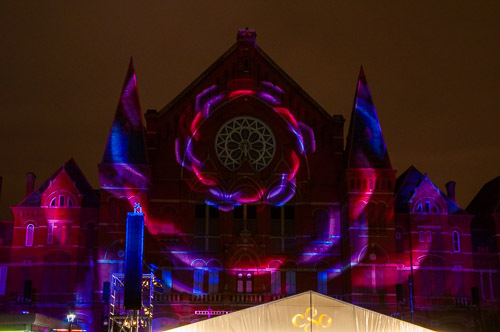 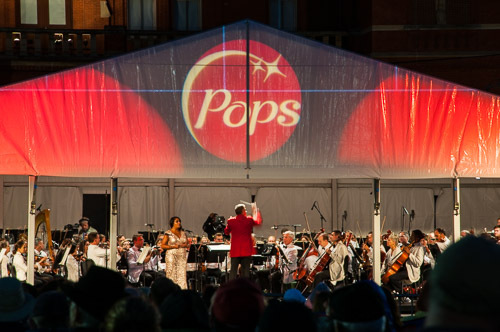 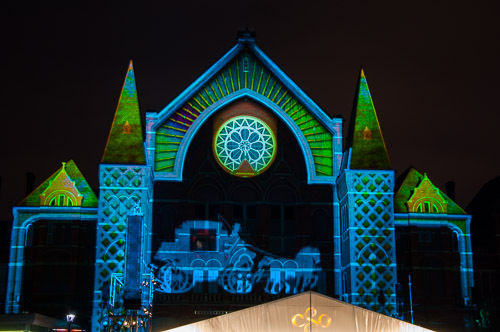 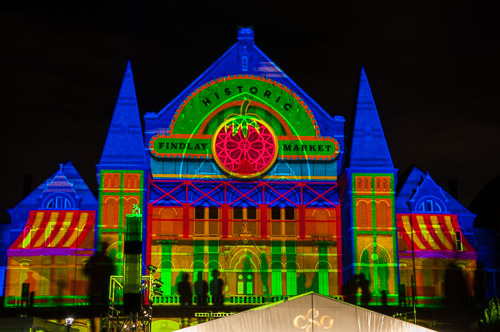 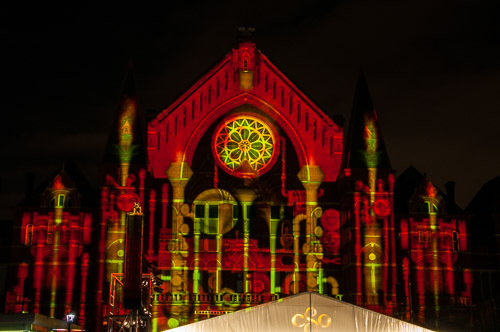 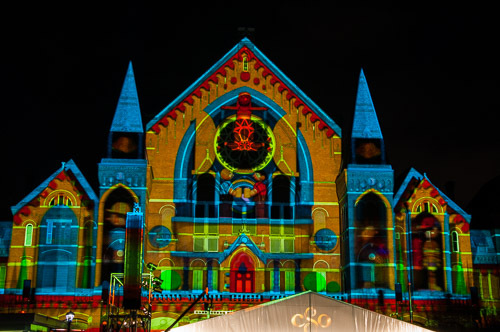 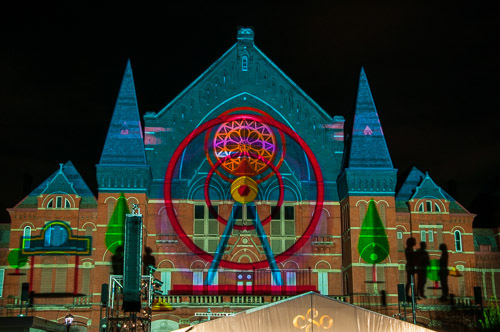 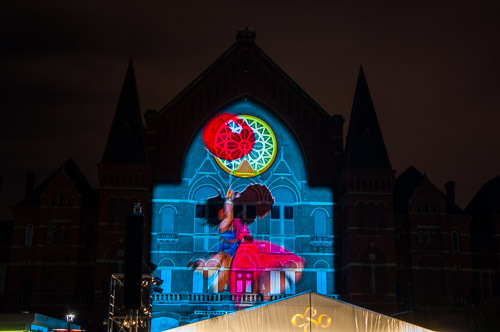 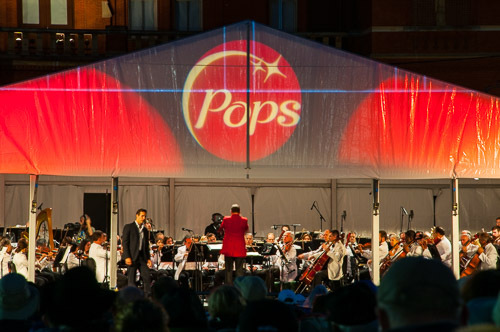 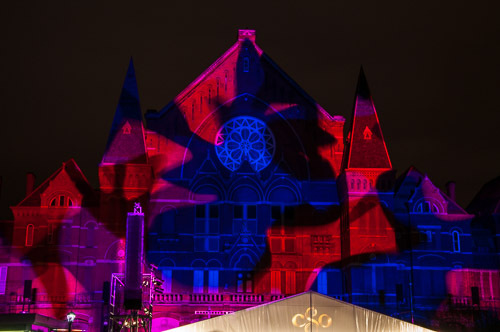 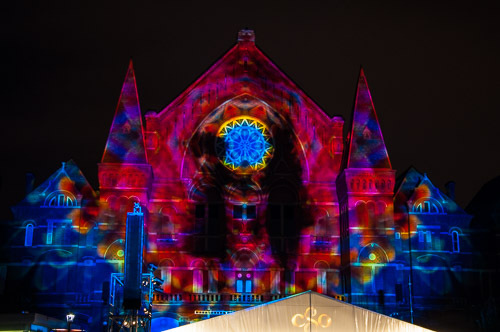 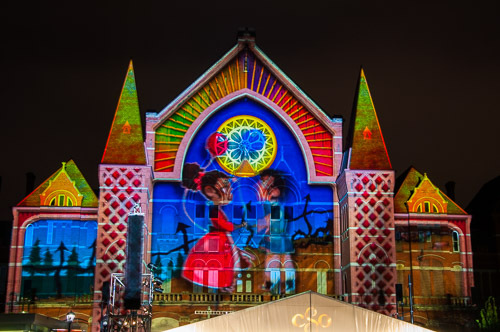 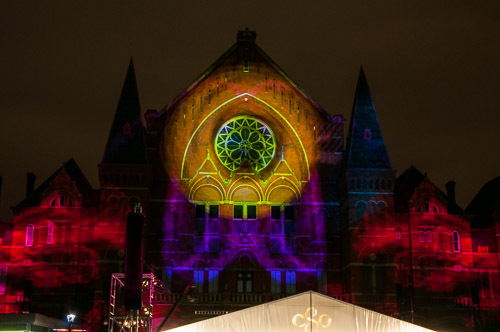 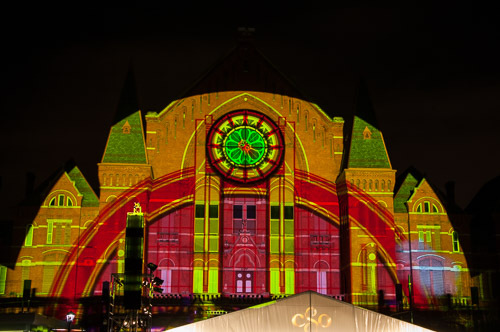 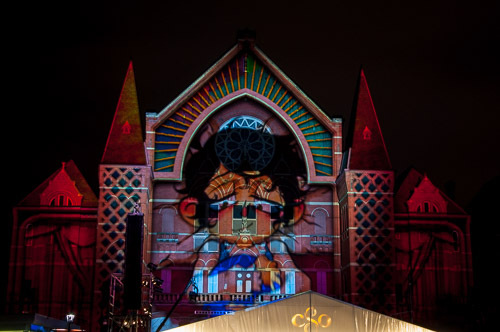 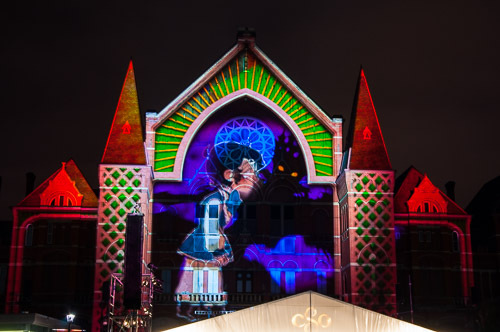 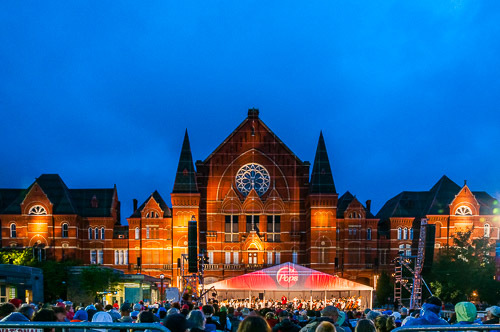 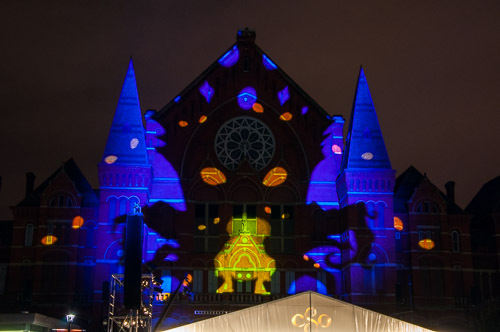 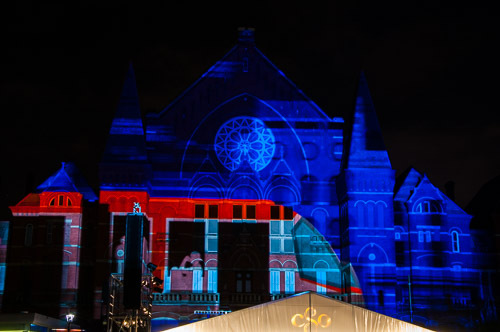 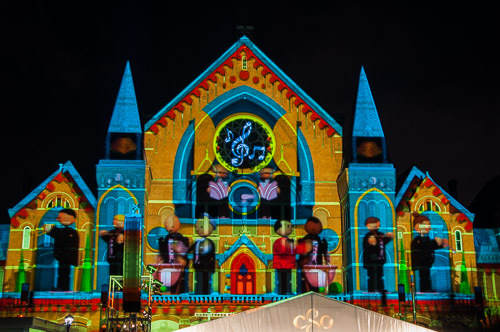 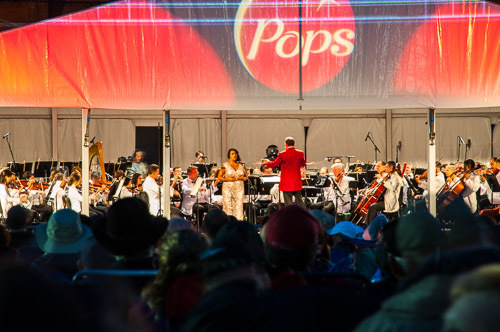 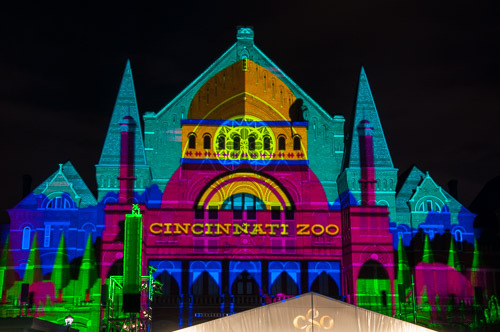 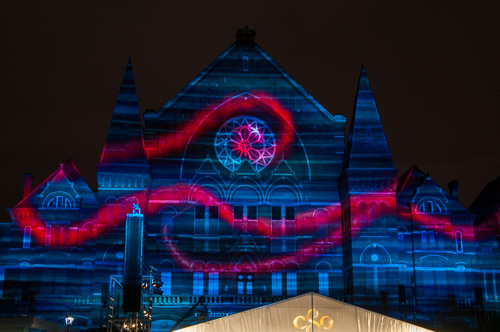 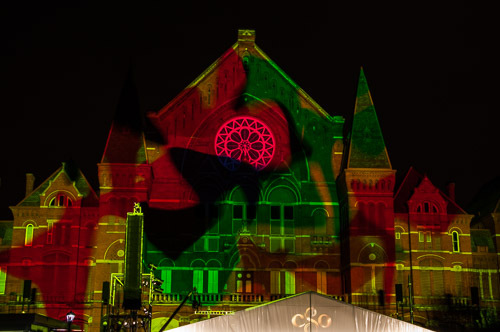 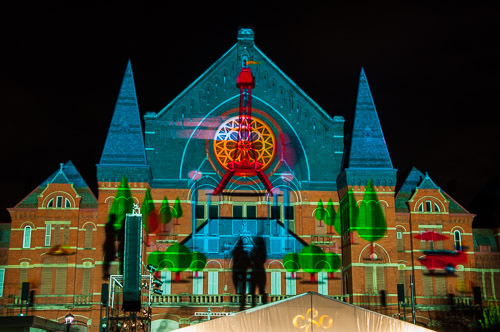 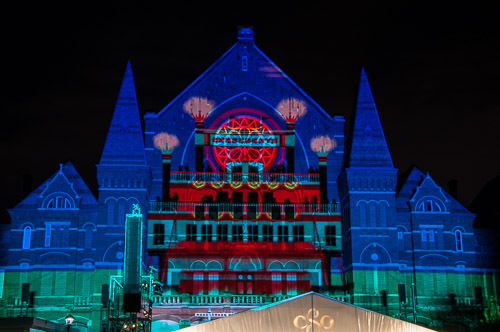 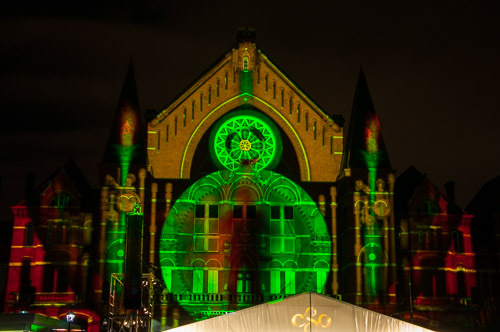 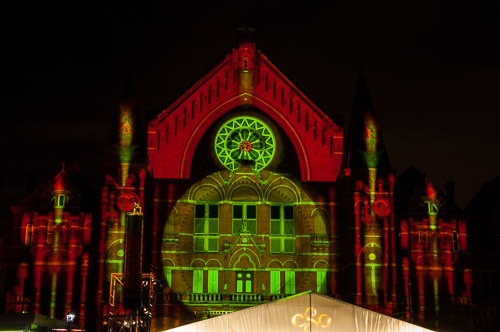 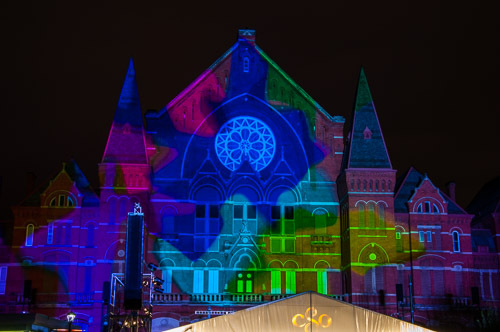 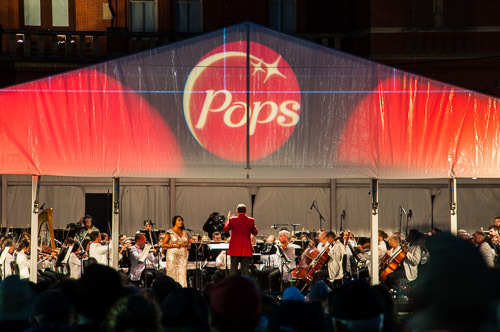 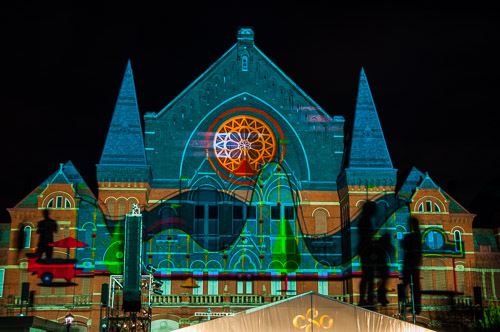 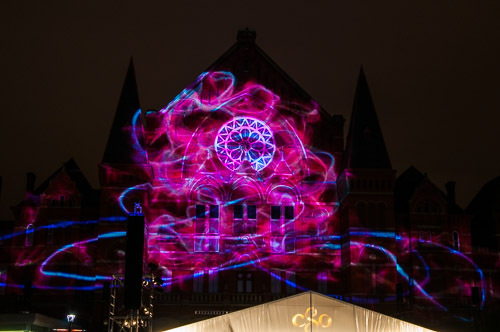 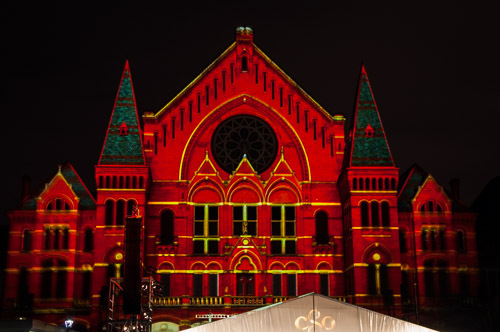 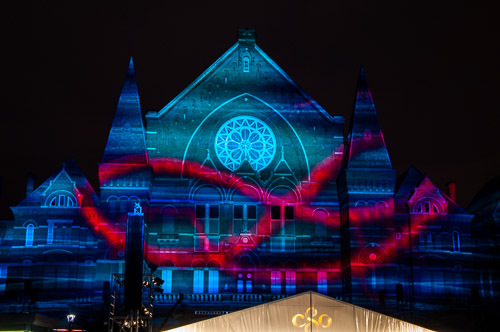 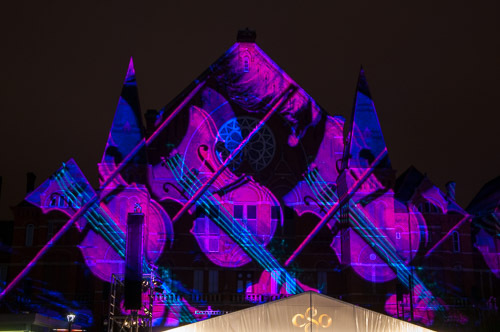 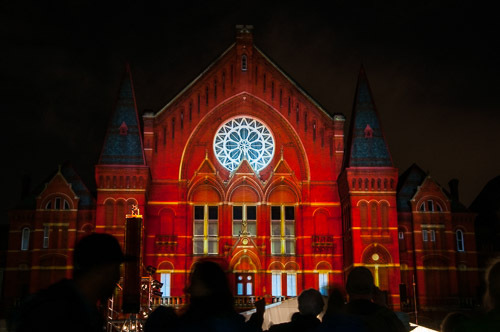 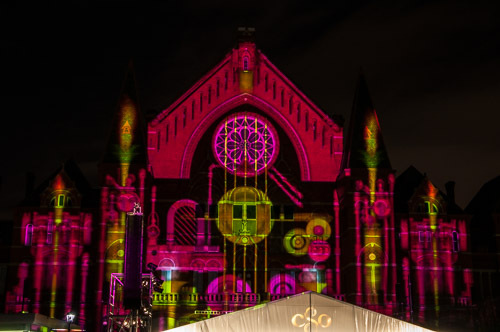 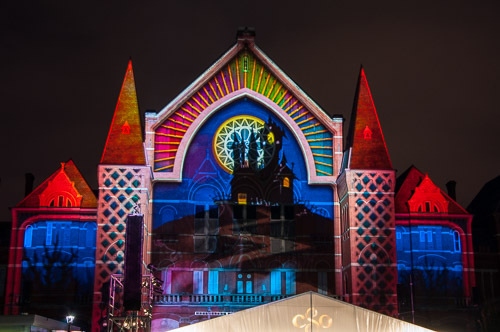 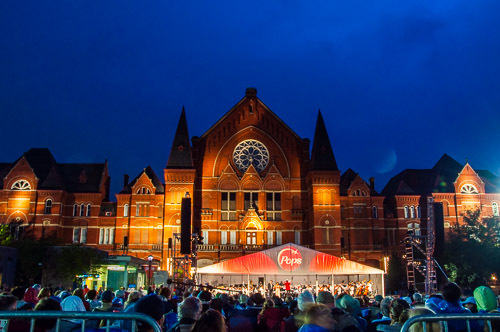 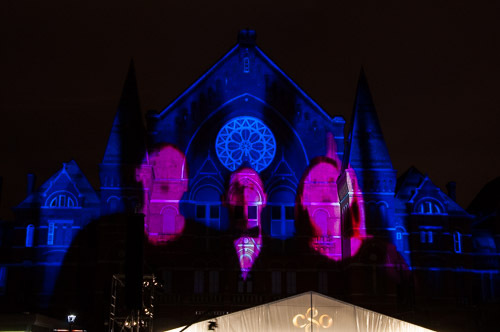 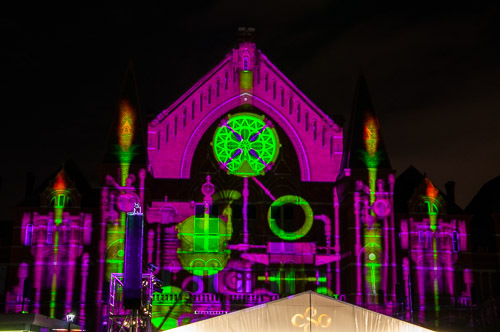 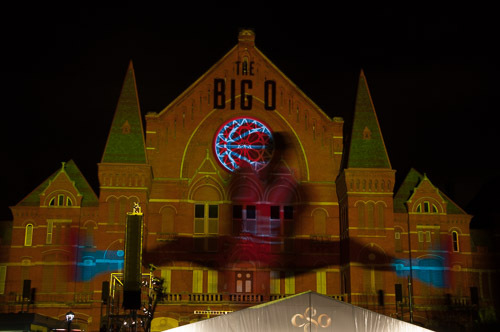 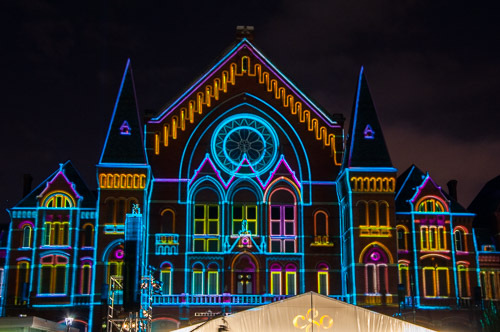 Lumenocity is a fantastic laser light show accompanied by the Cincinnati Pops Orchestra. 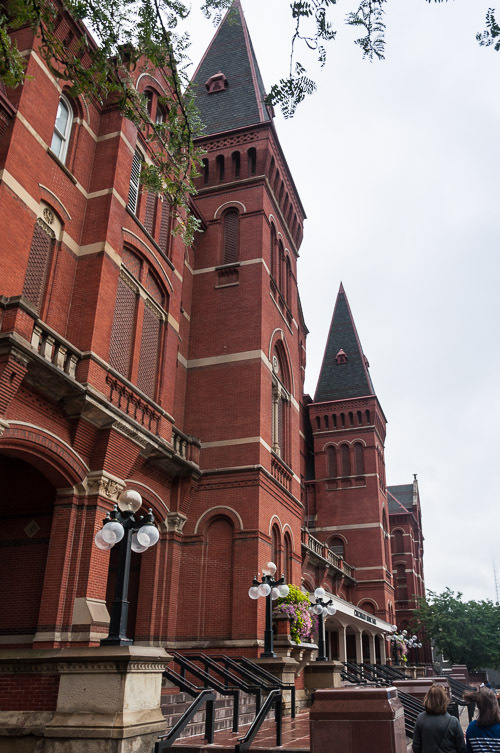 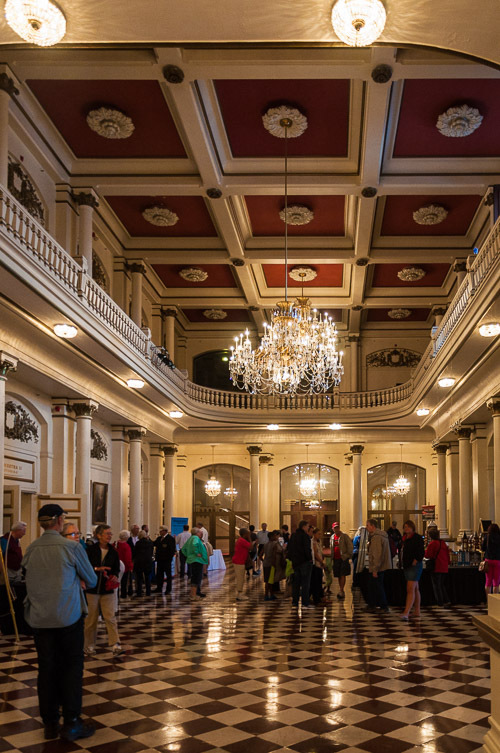 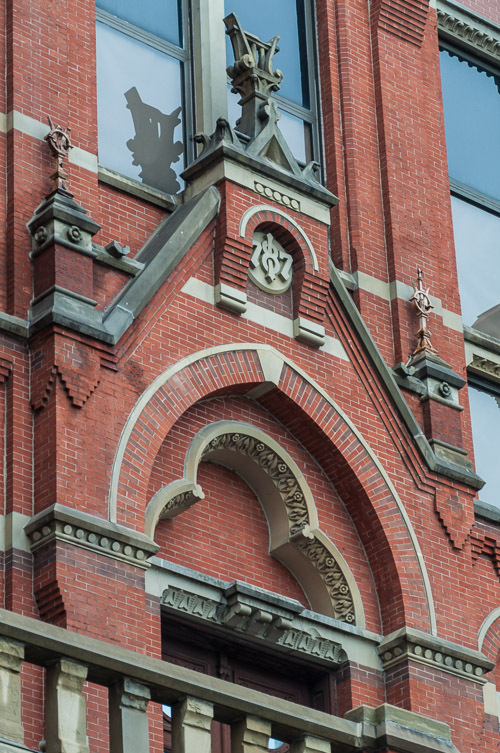 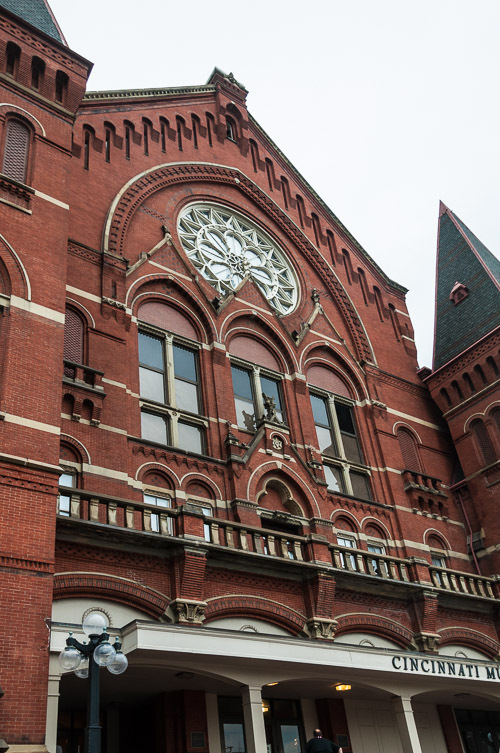 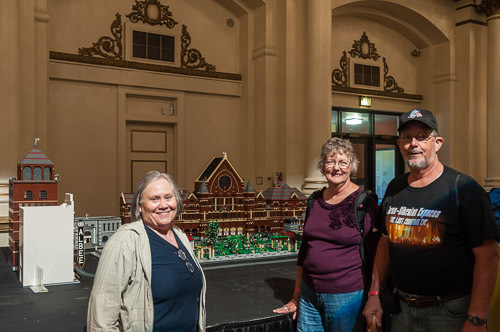 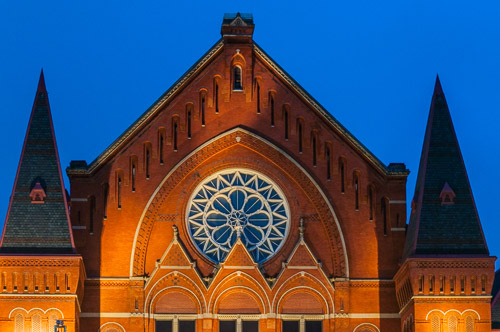 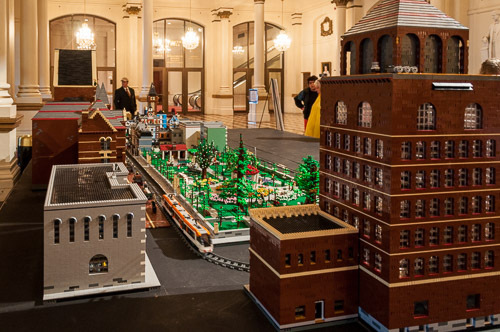 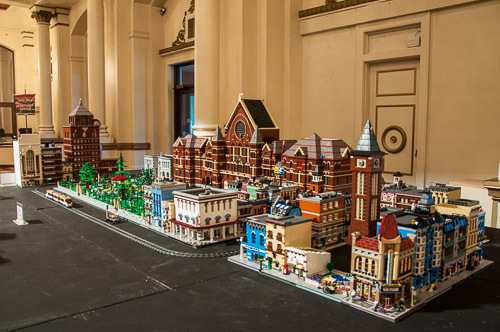 Prior to the show, we toured Music Hall and saw a phenominal Lego exhibit of Music Hall including parts of downtown Cincinnati and Covington, Kentucky. 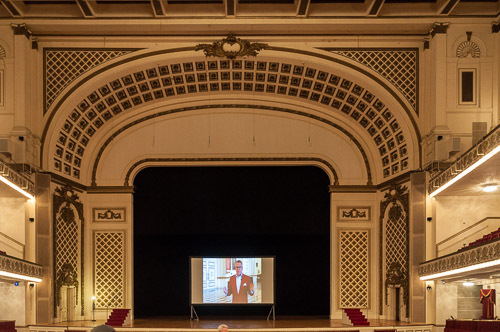 We also listened to the Mighty Wurlitzer Organ from the (now demolished) RKO Albee Theatre. 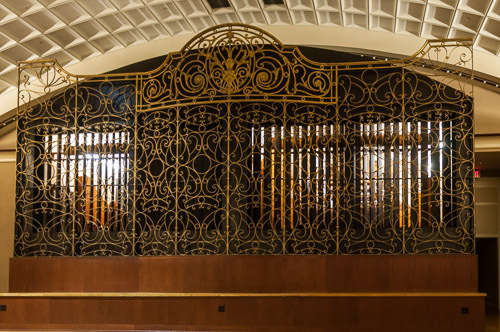 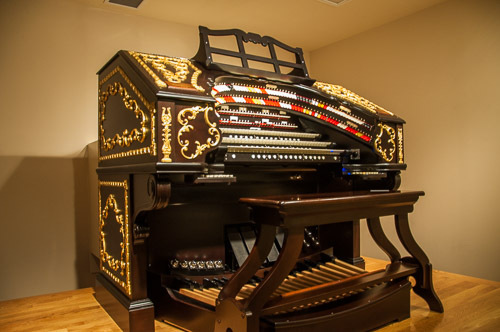 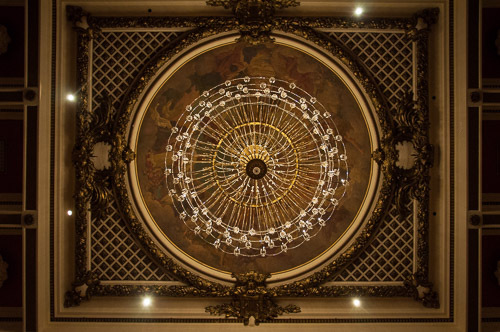 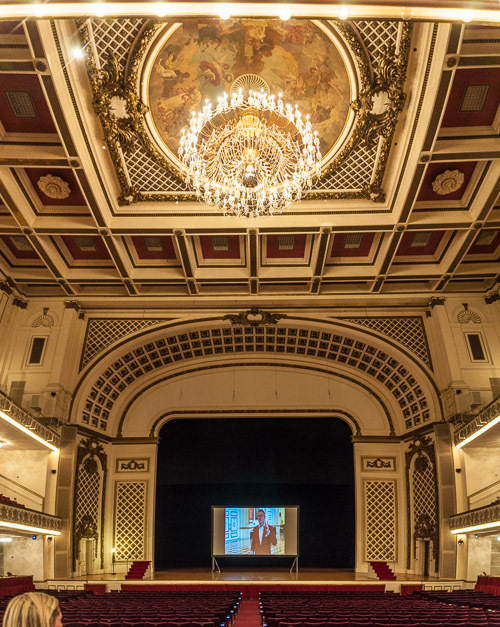 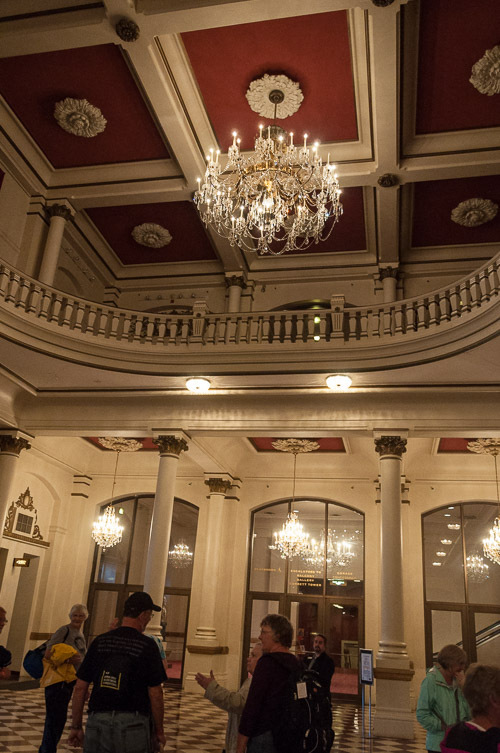 The Wurlitzer Company was founded in Cincinnati in the mid 1800s. 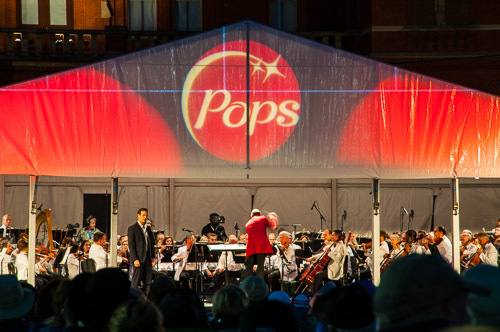 The images of the show were taken at the August 6, 2015 performance. 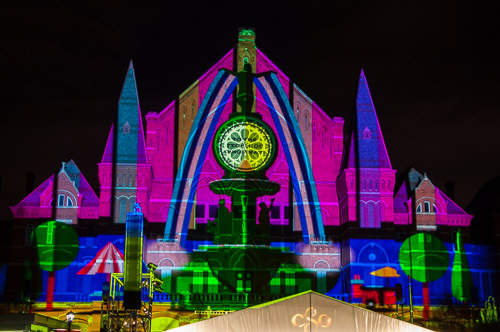 The show cost around 1-1/4 million dollars to produce. 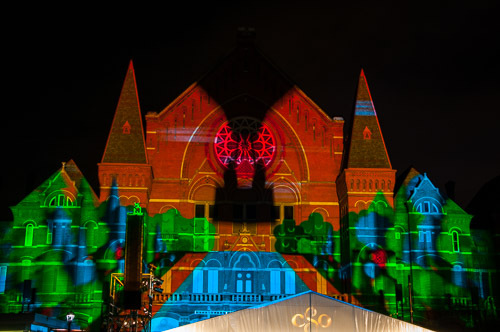 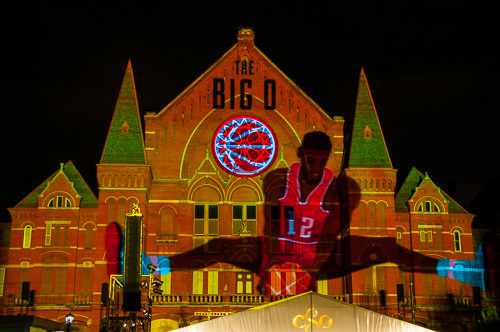 These photos really do not do it justice, as many of the projections are in motion, and are very difficult to capture. 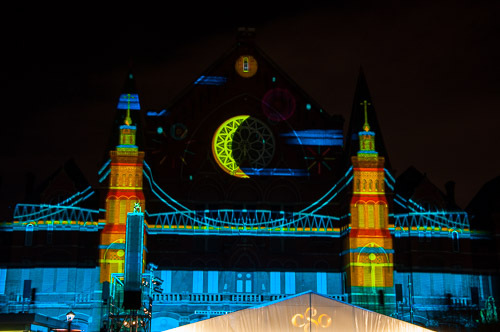 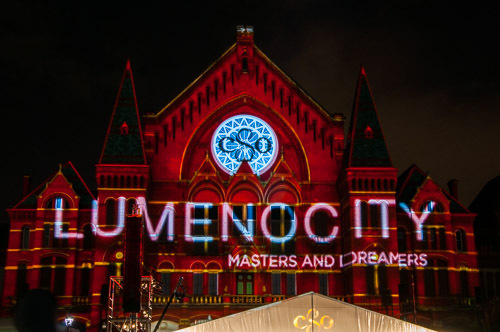 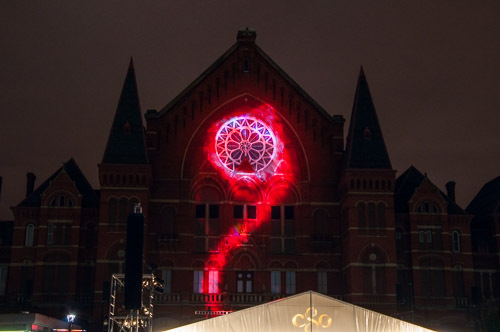 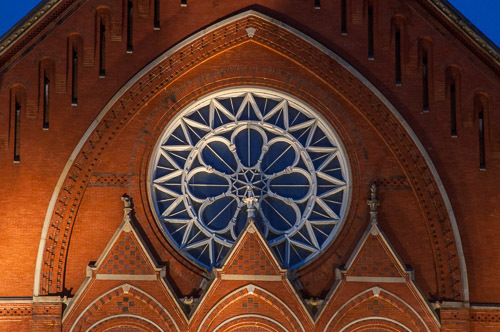 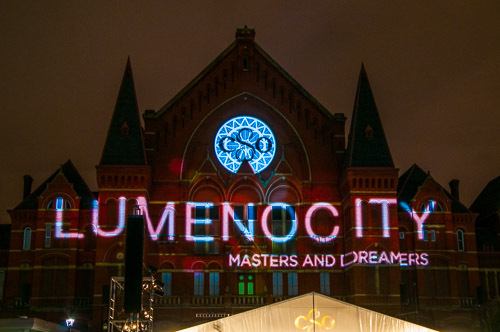 More information on Lumenocity may be found here. 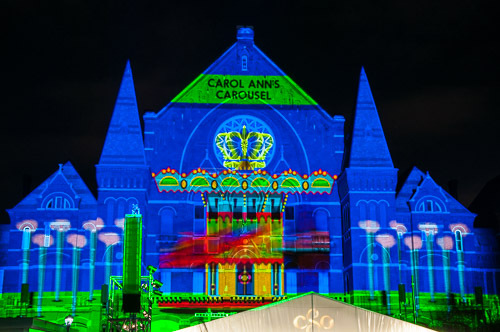 Several videos may be found here. 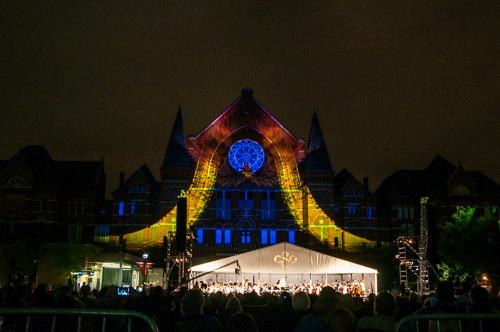 Click here to view a video taken during the performance.